The Master Series Palette One is made up of 12 beautiful neutral shades perfect for creating a variety of eyelooks. 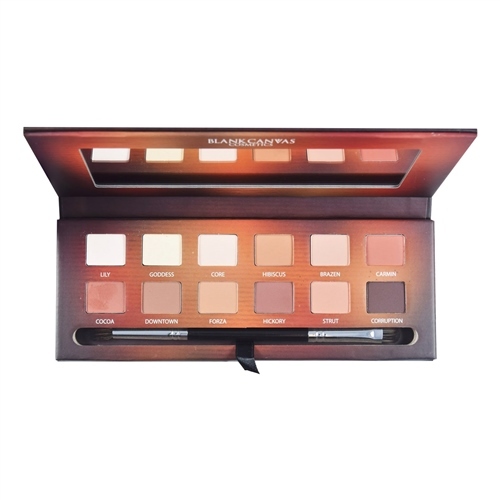 The palette has the perfect balance of 11 velvety matte shades ranging from a gorgeous vanilla base colour to a dark brown shade. It also contains 1 shimmery champagne highlighter shade. The Master Palette also contains our bestselling vegan friendly E40/41 Double Ended Tapered Crease Blender/Smudger. The stiff flat shader end (E40) can be used dry/damp to apply eyeshadow. The fluffy dome side (E41) can be used to blend seamlessly.